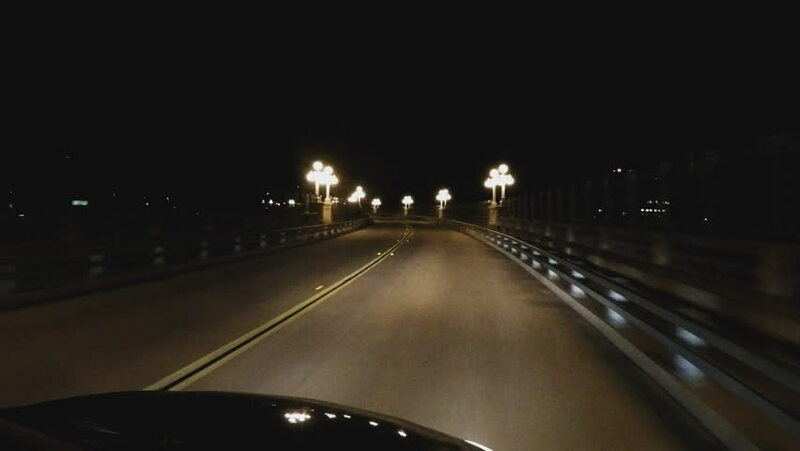 PASADENA, CA/USA: February 21, 2016- Night shot of driving over a bridge with old fashioned lamp posts in Pasadena California. Art Deco lights lead the way over a curvy roadway. hd00:16Las Vegas suburban night driving time lapse on Town Center Drive and Summerlin Parkway. 4k00:104K. Aerial view of the night highway leading to the city of Warsaw. hd00:30Driver's eye view through Ukishima Loop on the metropolitan highway.